Maintaining the quality of Liniar products is of paramount importance – we want every single window and door to be made in exactly the way it was designed. 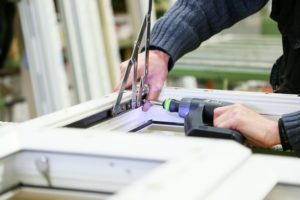 This is why we produce detailed fabrication instructions and manuals to help our fabricator customers manufacture our uPVC windows, doors and conservatories to our exact specifications. The Liniar Approved Fabricator scheme rewards loyal fabricators who ensure our products are manufactured to our exacting high standards, using only Liniar-approved parts. Each fabricator achieving Approved status has been through an exhaustive series of tests, checks and verification to confirm their eligibility to join the scheme, assuring customers of the highest quality Liniar products. Their business is financially stable. Fabricators wishing to join the Liniar Approved Fabricator scheme should contact their sales representative to find out more. If you’re looking for your nearest Liniar Approved stockists, click here. Having seen an increase in suppliers trying to supply our customers with products that do not technically meet our required standard, Liniar is taking steps to avoid a flood of sub-standard products that may compromise the Liniar brand. 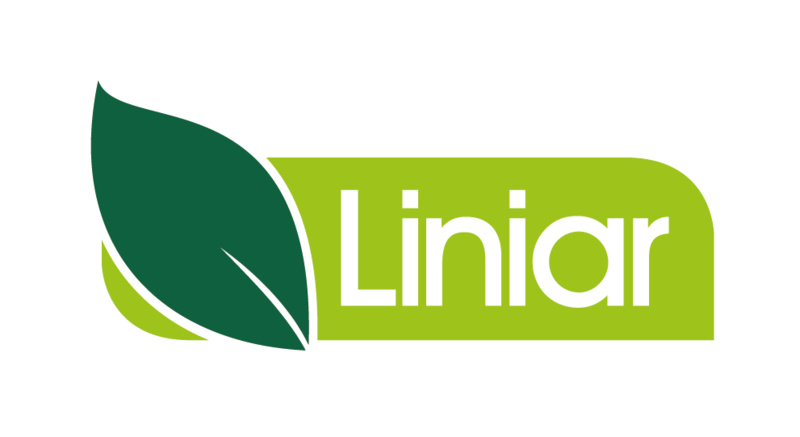 Liniar invests a significant sum in promoting the Liniar brand – a brand we are extremely proud of. As a result, we believe our customers can rely on the strength of our brand to win business themselves. 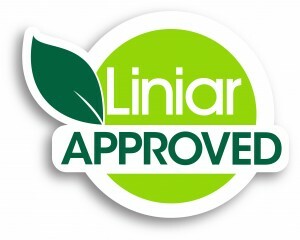 We highlight to end users the importance of checking their purchases are truly Liniar™ branded products, to allay concerns about fabricators supplying products that are not fully guaranteed. As we continue to build and develop new installer leads for fabricators, it becomes even more important to ensure all fabricators play on a level field of approved components and standards. You will have seen the shocking effects of products manufactured with sub-standard parts or poorly managed construction techniques. It’s important to remember that if this leads to a product failing which causes damage including death, personal injury or any loss of or damage to personal property, then in addition to civil liability for damage caused by a defective product, the companies responsible, including their directors, may be held to be criminally liable which may result in an unlimited fine or imprisonment. Liniar supplies detailed fabrication manuals, tooling and onsite training to ensure that when our engineers leave site they are confident in your ability to fabricate our products to the required standard. In addition to the reasons above, it’s important to be aware of the additional potential consequences of using non-approved components in your Liniar products. 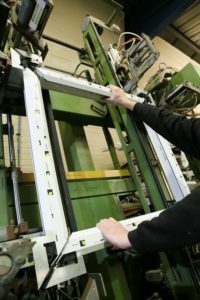 Only components supplied by HL Plastics Ltd for the Liniar system (or approved separately under the Liniar Approved Fabricator scheme) are covered by our guarantees. Any substituted products will render Liniar guarantees totally void. Click here for full details of individual Liniar guarantees. The Liniar registered trade mark and logo (the Registered Mark) serves to identify window and door systems originating from HL Plastics Ltd. The sale of a product under the Liniar name which includes parts not supplied or approved by HL Plastics will infringe our Registered Mark. This too might lead to personal liability for any individual who has been responsible for causing such sale of products to occur. Only Liniar specified and supplied products can be used in conjunction with Liniar supplied test evidence for Part Q and Secured By Design compliance. Any fabrication company using substituted components in such products must re-submit products through the strict testing process, at their own cost, before claiming compliance. As a service to Liniar customers we host over 2,000 thermal simulations on our website, with PDF documentation available to download free of charge. These simulations have all been carried out using Liniar specified and supplied components, and will, therefore, be invalid if substitute products are used. Liniar has developed relationships with a large number of developers and commercial contractors, managing tender opportunities for fabricators wishing to work within this sector. Any products manufactured and supplied for commercial contracts with non-approved components will not be supported by Liniar and further commercial support and lead generation for these fabricators will cease as a result. Liniar has always strived to be the best, providing the highest level of customer support with mobile technical engineers and an in-house design department. All onsite technical support and structural calculations provided by Liniar are carried out on the basis of fully guaranteed Liniar products being supplied, but will be deemed void if non-approved components are found to be used. The Liniar Approved Fabricator scheme is designed to help fabricators achieve optimum results whilst recognising the commerciality of manufacturing processes. Any fabricator can apply for non-Liniar parts to be approved and written into their agreement; but only parts which do not adversely affect Liniar’s standard for the overall quality of the finished product will be considered for approval. The Liniar range is designed to be a full range of high quality, fully colour matched, fully tested and guaranteed products – from windows and doors to roofs, bi-folds, building products and even outdoor products – all of which are available to you to help grow your own business. If you have any questions about the Approved Fabricator scheme or about the fabrication of the Liniar system, please do not hesitate to contact us.